When Netflix released all 10 episodes of its new true-crime docuseries, Making a Murderer, the streaming giant upset a lot of sleep schedules before it upset those watching. Possibly the most immediately binge-worthy series the company has ever produced, the story of Steve Avery's nearly 20 years spent behind bars for a crime he would eventually be exonerated for was riveting enough. When the series plunged into the unsettling recesses of the disappearance and murder of a young photographer named Teresa Halbach, the subsequent trial ending in Avery's conviction confirmed the series' addictive qualities. Skillfully constructed by filmmakers Moira Demos and Laura Ricciardi, each individual episode is composed in just the right kind of way as to not only make the binge possible, but practically mandatory. Sure, if you really wanted to find out what happened to Steve Avery and his nephew Brendan Dassey, nothing short of a hasty search on Google would be necessary. Given that all 10 episodes were made available at the same time, one could just as easily skip to the finale and call it a day. Those who do so, however, would be denying themselves the frustrating pleasure of seeing Avery's attorneys, Dean Strang and Jerome Buting, mount a compelling defense of their client - one that calls into question the integrity of law enforcement and the way in which the investigation into Halbach's murder was conducted. In other words, skipping ahead is sidestepping the point of the series, which is less about documenting the trial of Steven Avery in connection with the death of Teresa Halbach, and more about advocating his innocence. Making a Murderer takes the position that Avery is the victim of a miscarriage of justice; he is an innocent man serving a life sentence without the possibility of parole. The filmmakers take a strong stance on this, so much so that over the course of the series' 10 hours, they hardly consider that even with the suspicions raised by his defense, it remains a possibility Avery is in fact a murderer – albeit one who was convicted because law enforcement allegedly broke the rules. All this suggests that Making a Murderer is something more than a mere documentary; it is a call to action, the intention of which is ultimately to challenge a conviction and shed light on what it sees as corruption within the legal system. In that sense, the series carries the burden of success enjoyed by NPR's Serial and HBO's The Jinx. And because of that, Making a Murderer may be judged by its ability or inability to enact change on behalf of Steven Avery and Brendan Dassey. Adnan Syed, Steve Avery, and Robert Durst. Making a Murderer is a compelling piece of entertainment because of how frighteningly easy the filmmakers propose it is for the police to secure a conviction of a suspect of their choosing -- especially when he or she is of a certain class standing. There is physical evidence tying Avery to the crime for which he was eventually convicted, and yet the suspicions drummed up by Strang and Buting – and subsequently endorsed by the filmmakers – have been enough that in the weeks since the program's December 18 premiere, petitions for Avery's release at both Whitehouse.org and Change.org have emerged. The White House petition has garnered just under 19,000 signatures – in order for the Obama administration to address the petition, it would need roughly 81,000 more. The Change.org petition, however, has accumulated upwards of 151,000 signatures (at the time of this writing). Both petitions contain wording that impugns the Manitowoc County Sheriff's Department and the "improper methods" they used to bring about the conviction of both defendants. And both are calling for Steven Avery and Brendan Dassey to be given a full pardon. "Steven Avery and Brendan Dassey should be given a full pardon by President Obama for their wrongful conviction in the connection to the murder of Teresa Halbach. This is a black mark on the justice system as a whole, and should be recognized as such, while also giving these men the ability to live as normal a life as possible." "There is a documentary series on Netflix called "Making a Murderer". After viewing it, I am outraged with the injustices which have been allowed to compound and left unchecked in the case of Steven Avery of Manitowoc County in Wisconsin, U.S.A. Avery's unconstitutional mistreatment at the hands of corrupt local law enforcement is completely unacceptable and is an abomination of due process. Steven Avery should be exonerated at once by presidential pardon, and the Manitowoc County officials complicit in his two false imprisonments should be held accountable to the highest extent of the U.S. criminal and civil justice systems." It is uncertain whether or not Demos and Ricciardi had this specific response in mind while spending the last decade compiling countless hours of courtroom videotape, news footage, and interviews. It stands to reason, though, a response was inevitable, given the specificity of their efforts with regard to painting Avery as the victim of corruption within a legal system embarrassed by his previous exoneration and pending lawsuit against them. The advent of the petitions is one thing, but looking at the certainty with which the justification for these appeals were written demonstrates the power of Making a Murderer and the persuasiveness of Demos and Ricciardi's argument. These petitions also raise interesting questions. Where was this response at the time of the convictions? How much of the public response is simply a result of the filmmakers' ability to compress a six-week murder trial into an addictive and entertaining 10-hour narrative? The highly serialized aspect of the series makes it easily binged, but it also makes the desire to take up the tacit call to action all the more desirable. 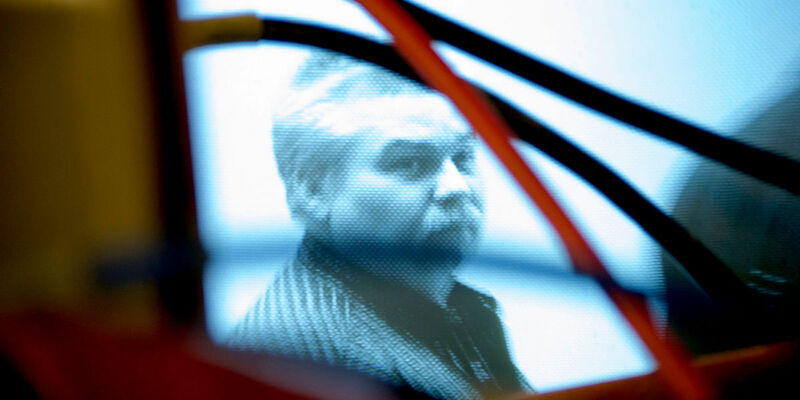 It becomes the method through which the story of Steven Avery continues, and, much to the advantage of Netflix, how the conversation around Making a Murderer sustains itself long after the initial need to binge subsides. One has to wonder, then, whether the series' value as a piece of entertainment cloaks its advocacy of Steve Avery's innocence, or at the very least, the assertion that corruption exists within the Manitowoc County Sheriff's Department. Or does its advocacy and potential as a catalyst for change exceed its value as entertainment? And will the series be seen as a failure if it doesn't inspire some level of official re-examination of the cases against Avery and Dassey? How do we quantify a result in terms of what Making a Murderer means beyond simply being a well-made documentary? As precursors to Making a Murderer, it is important to look at both Serial and The Jinx, and the aftermath of their efforts to document and investigate the cases against Adnan Syed and Robert Durst, respectively. Those efforts have permanently altered the landscape of true-crime programs and, for better or worse, raised a certain level of expectation with regard to what happens next as a result of Demos and Ricciardi's efforts. NPR's Serial was incredibly popular, becoming the fastest podcast to be downloaded over five million times, and making its host and executive producer, Sarah Koenig, a star in the process. In the case of Serial's subject, Adnan Syed – who was convicted of the 1999 murder of Hae Min Lee – the series has resulted in the granting of a motion to reopen the case against him, with his attorneys looking into alleged prosecutorial misconduct among other new evidence in the case against Syed. HBO's The Jinx, meanwhile, famously ended with its subject Robert Durst stating he "killed them all" after leaving his mic on following an interview in which he was confronted by director Andrew Jarecki with evidence of murder. Durst was subsequently arrested and is currently awaiting trial. While The Jinx will likely be remembered first for capturing and broadcasting Durst's unnerving admission of guilt – and secondly for the questionable timeline of the series, as well as the dubious decision to make Jarecki and the other filmmakers involved a part of the story – much of why it continues to be talked about is due in part to what has occurred following its airing. The same holds true for Serial. In one case, an alleged killer may finally face punishment for crimes he has been linked to for decades. In another, a potentially innocent man stands a chance at regaining his freedom after 15 years of incarceration. Regardless what happens in either Durst's or Syed's cases, the fact that anything at all is happening is due in part to the awareness raised by the programs investigating and documenting them. At this point, nothing has happened that would indicate a change for Avery or Dassey's current situations. And even if the petitions do receive the necessary signatures, there is no guarantee their cases will even be looked at, let alone for either man to receive a pardon or have their convictions overturned. The hacktavist collective known as Anonymous claimed to have evidence that will verify a conspiracy against Avery, but that declaration has since proven suspicious. Nevertheless, the conversation surrounding Making a Murderer has yet to subside. Granted, it has only been a little over two weeks, but the fact that Avery's case is still a topic of discussion is something worth noting. The sustained strength of the conversation around Avery and Dassey's cases also means comparisons of Making a Murderer to its true-crime forbearers become more and more apt. This puts it in exclusive company, but it also puts the series under increased expectations. That certainly bodes well for Netflix, as any prolonged dialogue regarding one of its exclusive titles validates the company's catalogue and potentially increases its attractiveness to consumers. But what happens if the conversation around Making a Murderer, Demos and Ricciardi, and certainly, Avery and Dassey recedes, and no action is taken on the convicted men's behalf? On one hand, it is enough that the series raised these questions in such a compelling, entertaining, and convincing way. And yet, the expectation of real-world results has implicitly become the bar set for every new entry into the white-hot true-crime genre. All 10 episodes of Making a Murderer are available on Netflix. The Jinx are available on HBO Go or HBO Now. Serial season 1 is available for download.